Vandyvape Govad RTA, is the brand new RTA designed by Stephen Z.. It can be remove the block to switch the capacity from 2.0ml to 4.0ml. With the botton airflow and 3D side airflow, the Vandyvape Govad RTA will bring you best flavor and clould vapor. 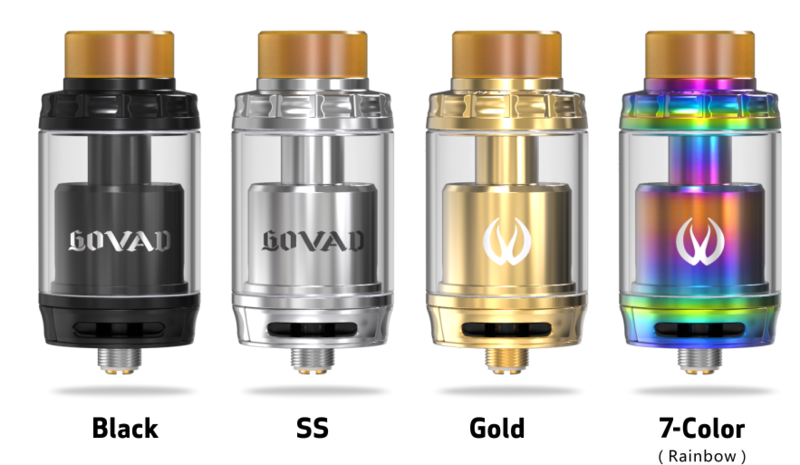 Click the button below to add the Vandyvape Govad RTA Tank 2ml or 4ml to your wish list.